Indicate by check mark whether the registrant has submitted electronically and posted on its corporate Website, if any, every Interactive Data File required to be submitted and posted pursuant to Rule 405 of Regulation S-T (§232.405 of this chapter) during the preceding 12 months (or for such shorter period that the registrant was required to submit and post such files). Indicate by check mark whether the registrant a large accelerated filer, an accelerated filer, a non-accelerated filer, or a small reporting company. See the definitions of "large accelerated filer," "accelerated filer" and "small reporting company" in Rule 12b-2 of the Exchange Act. The aggregate market value of the voting and non-voting common equity held by non-affiliates computed by reference to the price at which the common equity was sold, or the average bid and asked price of such common equity, as of June 30, 2011 (the last business day of the registrant's most recently completed second fiscal quarter) was $7,225,360 based on a share value of $1.00. The number of shares of Common Stock, $0.001 par value, outstanding on April 11, 2012 was 23,725,360 shares. as well as other statements regarding our future operations, financial condition and prospects, and business strategies. Forward-looking statements may appear throughout this report, including without limitation, the following sections: Item 1 “Business,” Item 1A “Risk Factors,” and Item 7 “Management’s Discussion and Analysis of Financial Condition and Results of Operations.” Forward-looking statements generally can be identified by words such as “anticipates,” “believes,” “estimates,” “expects,” “intends,” “plans,” “predicts,” “projects,” “will be,” “will continue,” “will likely result,” and similar expressions. These forward-looking statements are based on current expectations and assumptions that are subject to risks and uncertainties, which could cause our actual results to differ materially from those reflected in the forward-looking statements. Factors that could cause or contribute to such differences include, but are not limited to, those discussed in this Annual Report on Form 10-K, and in particular, the risks discussed under the caption “Risk Factors” in Item 1A and those discussed in other documents we file with the Securities and Exchange Commission (SEC). We undertake no obligation to revise or publicly release the results of any revision to these forward-looking statements, except as required by law. Given these risks and uncertainties, readers are cautioned not to place undue reliance on such forward-looking statements. Throughout this Annual Report references to “we”, “our”, “us”, “Oraco”, “the Company”, and similar terms refer to Oraco Resources, Inc. and its subsidiaries, unless the context indicates otherwise. Oraco Resources, Inc. ("Oraco") was incorporated on April 6, 2010 in the State of Nevada originally under the name Sterilite Solutions Corp. On February 23, 2011, the Company changed its name from Sterilite Solutions Corp. to Oraco Resources, Inc.
On May 16, 2011, Oraco completed the acquisition of all the issued and outstanding shares of Oraco Resources, a Canadian corporation, ("ORI") and JYORK Industries, Inc. Ltd ("JYORK") (collectively, the "Acquired Businesses") pursuant to a Share Purchase Agreement (the "SPA"). Under the SPA, Oraco issued 15,001,500 shares of the its common stock to various individuals and entities in exchange for a 100% interest in ORI and 3,000,000 shares of Oraco's common stock to an individual for a 100% interest in JYORK. Additionally under the SPA, the former officers and directors of Oraco agreed to cancel 10,000,000 shares of its common stock. For accounting purposes, the acquisition of the Acquired Businesses by Oraco has been accounted for as a recapitalization, similar to a reverse acquisition except no goodwill is recorded, whereby the private companies, ORI and JYORK, in substance acquired a non-operational public company (Oraco) with nominal assets and liabilities for the purpose of becoming a public company. Accordingly, ORI and JYORK are considered the acquirer for accounting purposes and thus, the historical financials are primarily that of ORI. As a result of this transaction, Oraco changed its business direction and is now a mineral and natural resource exploration business. ORI was incorporated on August 4, 2010 (Date of Inception) and accordingly, the accompanying financial statements are from the Date of Inception of ORI through ending reporting periods reflected. Effective May 16, 2011, Oraco completed the acquisition of contractual rights for the disposition and exportation of diamonds and gold, and any other minerals recovered both in Zimmi Town, Pujehun District of Sierra Leone as well as the Gbense Tailings No. 5 reserve located in Koidu Town, Kono District – Sierra Leone, through the acquisition of 100% of the ownership of what are now the wholly owned subsidiaries, JYORK and ORI. Gbense Tailings Number 5 – Memorandum of Understanding which provides that JYORK and the Gbense Chiefdom will work jointly to recovery any precious minerals and all other natural resources found above or below the ground at Tailings Number 5, with JYORK providing any necessary expertise and/or machinery. The net profits realized from these efforts will be divided 70% to JYORK and 30% to the Gbense Chiefdom. (“Net Profits” being defined as the gross value of the recovery, as determined by governmental agencies, less any and all costs incurred in connection with the recovery and evaluation of the product). Zimmi Mining Area – Memorandum of Understanding which provides that JYORK and the Baysuagung-Gbeya Cooperative Mining Society will work jointly to recovery any precious minerals and all other natural resources found above or below the ground at the Zimmi mining site, with JYORK providing any necessary expertise and/or machinery. The net profits realized from these efforts will be divided 70% to JYORK and 30% to the Baysuagung-Gbeya Cooperative Mining Society. (“Net Profits” being defined as the gross value of the recovery, as determined by governmental agencies, less any and all costs incurred in connection with the recovery and evaluation of the product). Nimini Hills – Memorandum of Understanding which provides that JYORK and the Nimikoro Chiefdom will work jointly to recovery any precious minerals and all other natural resources found above or below the ground, with JYORK providing any necessary expertise and/or machinery. The net profits realized from these efforts will be divided 69% to JYORK and 31% to the Nimikoro Chiefdom, with 1% of the Nimikoro Chiefdom’s portion to be used for developmental purposes. (“Net Profits” being defined as the gross value of the recovery, as determined by governmental agencies, less any and all costs incurred in connection with the recovery and evaluation of the product). Prior to our acquisition of JYORK and ORI, ORI purchased a one-half interest in JYORK’s rights in the concessions JYORK holds in the Tailings Number 5 reserve and the Zimmi location. We acquired 100% of the ownership of ORI and JYORK to obtain the control of all rights and interests in and to the Tailings Number 5 and Zimmi concessions. As a result of the closing of the Share Exchange Agreements, Oraco is now involved in the mining industry in the African country of Sierra Leone through mining concessions held primarily by JYORK. The objectives of the Company are to seek additional mining concession rights, privileges, and to own mines in Sierra Leone, as well as other West African Countries. In addition, we intend to process minerals and to sell such processed minerals around the world, and explore new areas in Sierra Leone and elsewhere in West Africa as opportunities may arise. In October 2011 we strengthened our holdings by reviving contractual rights for the disposition of diamonds, gold, and any other minerals recovered in an approximately 10 acre area of mineral rich Boroma, Sierra Leone. These rights had been acquired by JYORK in 2008 before becoming our wholly-owned subsidiary. The holding is located northwest of the city of Koidu in the Kono District, Sierra Leone. Under the revived form of the agreement, net revenues generated from the activities at the Boroma site will be divided evenly between JYORK and the Boroma Gbense Chiefdom. (“Net Revenue” is defined as the gross value of the recovery, as determined by governmental agencies, less any and all costs incurred in connection with the recovery and evaluation of the product). Subject to adequate financing, we plan to begin operations in Boroma in the fourth quarter of 2012. Findings will be released as soon as possible thereafter. Also in October 2011, we further increased our holdings by fulfilling a condition precedent to the effectuation of an agreement that had been entered into on or about April 20, 2011 between JYORK and the authorities representing the Nimikoro Chiefdom in Sierra Leone, which granted to JYORK the rights to recover all precious minerals and natural resources located above and below ground in the area located in the Nimikoro Chiefdom known as Nimini Hills. The contract called for JYORK to provide all funding necessary to mine the area known as Nimini Hills, and all net profits earned from the recovery and sale of any precious minerals or other natural resources are to be divided 69% to JYORK and 31% to the Chiefdom (1% of the Chiefdom’s portion of the net profits is to apply to local development). The agreement applied to an area that is approximately 50 square kilometers (or approximately 12,355 acres) in size. However, since the specific metes and bounds of the area were indeterminate, the effectuation of the agreement was subject to JYORK having a complete survey done to establish these boundaries. On October 12, 2011, a surveyor was retained, and it is believed that a thorough survey of the metes and bounds of the Nimini Hills concession should be completed shortly, after which a geophysical review of the area will be conducted to determine the locations that hold the highest probability of return, in which operations should be commenced. We are a mineral exploration and mining company engaged in the discovery, acquisition, development, production, and marketing of gold, diamonds, and other natural resources. We plan to engage SRK Worldwide, or a similar consultant, to provide geological and geophysical analysis of our assets in Sierra Leone so as to prepare a feasibility and technical report with respect to the proposed mining operations on certain of our mining concessions. In connection with our additional geophysical investigations, we also plan to complete a drilling program on additional areas of interest at Tailings Number 5 and Zimmi. This will allow us to determine the full potential of the projects, as well as better estimates of resource estimates and production targets. We are also involved in additional discussions aimed at the potential acquisition of other production based diamond and precious mineral projects. If these negotiations are successful, we could have the potential to achieve an additional diamond production within 24-36 months. Management believes that with at least $7 million USD, the Company should be able to commence the recovery of diamonds, gold and other precious minerals. If we are able to acquire additional concessions, and the capital necessary to operate such concessions, we should be able to expand annual production from the initial levels, with the rate of expansion being dependent upon the amount of diamonds, gold and other natural minerals recovered, the number of additional concessions we are able to obtain and the level of additional capital that can be raised. We intend to focus on the identification, acquisition and operations of diamond and gold projects that have the potential to generate sustained production and cash flow. Recent transactions, such as Tailings Number 5 and Zimmi, are aimed at giving the Company the potential to deliver significant annual diamond production yields on a consistent basis. We are also targeting further growth through the identification of additional resources throughout Sierra Leone and neighboring countries. There has been no drilling to test the depth potential of commercial ore on these properties, and proposed programs on such properties are exploratory in nature only. Development of these mineral properties is contingent upon obtaining satisfactory exploration results. Mineral exploration and development involve substantial expenses and a high degree of risk, which even a combination of experience, knowledge and careful evaluation may not be able to adequately mitigate. There is no assurance that additional commercial quantities of ore will be discovered on the Company’s exploration properties. There is also no assurance that, even if commercial quantities of ore are discovered, a mineral property will be brought into commercial production, or if brought into production, that it will be profitable. In addition to being a mineral exploration and mining company, we also intend to become a wholesale purchaser and exporting company of diamonds and gold while the geophysical reports are being undertaken on our assets. Our products consist of: metal concentrates, which we intend to sell to custom smelters; unrefined bullion bars (doré), which may be sold as doré or further refined before sale to precious metals traders; unfinished diamonds; and some gem quality diamonds which we cut and polish before selling on the open market. Our current business plan is to continue our current gold and diamond buy/sell transactions, which are presently being conducted on a small scale basis. With the additional capital, it is our intention to expand the level of the buy/sell transactions, which should provide current revenues for the Company. We have previously entered into an agreement for the disposition of diamonds and gold and any other minerals recovered in: Koidu Town, Kono District - Sierra Leone Gbense Tailings Number 5 at the property known as “Tailings Number 5” ; Zimmi Town, Pujehun District of Sierra Leone at the property known as “Zimmi”; Boroma northwest of the city of Koidu in the Kono District, Sierra Leone at the property known as “Boroma”; and the Nimikoro Chiefdom, Kono District, Sierra Leone at the property known as “Nimini Hills”. While the geophysical reports are being undertaken on our assets, we will intend to expand our gold and diamond buy/sell program which should deliver sufficient cash-flow to fund the costs, at least in part, associated with exploration and related geophysical examinations of our mining concessions. We plan on initially processing placer gravel which is easily accessible. We will also stockpile quantities of potentially gold bearing and diamond bearing placer gravel during the rainy season (May/June through October). All such gravel will be identified appropriately and later brought to the plant for processing and mineral extraction. On June 3, 2011, we entered into an Acquisition, Distribution and Marketing Agreement with Ozuro Jewelry, a New York corporation (“Ozuro”), wherein we agreed to offer to Ozuro the right to purchase our diamonds and gold (the “Product”) before offering to sell the Product to any other third party, and Ozuro agreed to consider purchasing our Product, in accordance with the terms and conditions set forth in the agreement. The term of the agreement began on June 3, 2011 and will terminate on June 3, 2014. The price of the gold shall initially be set at 90% of the London PM fix as reported as of the date of the sale and diamonds pricing shall be initially set at 95% of the Rapaport Diamond Price Index as reported as of the date of sale. Diamonds are made of carbon, the fourth most abundant element. They are crystals which grow by adding layer after layer of carbon atoms under extreme pressure. Diamonds originate some 200 miles below the Earth’s surface in the “mantle” layer. At that depth, enormous pressure is exerted on the carbon molecules, forging them into diamonds, and creating one of the strongest molecular bonds known to chemistry. Diamonds are moved from deep in the earth to the surface in volcanic eruptions. They typically come to the surface in thin magma streams known as ‘Kimberlite pipes’. Even though diamonds are relatively abundant, they are hard to find in quantities sufficient to support economic mining. The best place to look for diamonds is where diamonds have been found before. Africa is widely believed to be the richest continent for diamond mining. The major sources of diamonds are in the south with lesser concentrations in the west-central part of the continent. The major producing countries are Congo Republic (Zaire), Botswana, South Africa, Angola, Namibia, Ghana, Central African Republic, Guinea, Sierra Leone, and Zimbabwe. Political turmoil in some countries has led to highly variable production and severe degradation of the environment stemming from uncontrolled or unregulated mining. Diamonds are the hardest and most brilliant mineral and around the world diamonds are recognized as an eternal stone of value. Industrial diamonds play a key role in cutting and high wear applications. The vast difference between the hardness of diamonds, as opposed to every other mineral, means that there is no effective substitute for use in demanding industrial applications, including, and in particular, oil and gas drilling. While diamonds are virtually indestructible, they can, like any crystal, shatter along a plane, particularly if flawed. These characteristics make it possible to craft a gem into the most brilliant and desirable shape. Cutters face a trade-off between maximizing the size of the finished jewel and optimizing its reflectiveness. Extractable diamonds are very rare: only about 130 tons of rough diamonds have been found over the last 120 years. Even in rich ore, the grade is only about one carat per 3 tons of kimberlite, (1 Carat = .2 of a gram = 1/150 of an ounce) or 1 part in 14 million. Gold explorers think in parts per million (grams of gold per ton of ore). Diamond explorers commonly think in parts per billion (carats per tens of tons). This is why diamond explorers use ‘diamond indicators’, rather than the actual diamonds, when seeking potential excavation sites. While the presence of a kimberlite pipe is an indicator of the presence of diamonds, the best diamond indicator, of course, is a diamond in the kimberlite pipe. Only 1 in 22 kimberlite pipes are diamond-bearing, and only 1 in 50 are economic to exploit. The rarity and value of large stones means that the statistical distortion of the “nugget effect” (the statistical effect upon the conclusions drawn from a sample that contains a large stone versus one that has a small stone) is more pronounced for diamonds than any other mineral. This makes exploration an art as much as a science. Successful primitive miners and experienced geologists display an intuitive sense for finding diamonds. The Diamond Prices Index (“DPI”) is a representation of the current market pricing trend for diamonds. The DPI takes into account the average retail price per carat of loose diamonds from jewelers around the web. Prices are calculated for groups of weight ranges as well as by color and clarity. The Sierra Leone’s established diamond fields cover an area of about 7,700 square miles (about one quarter of the country) in the south-eastern and eastern parts of Sierra Leone. The diamond producing areas are concentrated in Kono, Kenema and Bo Districts. They are mainly situated in the drainage areas of the Sewa, Bafi, Woa, Mano and Moa Rivers. Alluvial diamond concentrations occur in river channel gravels, flood-plain gravels, terrace gravels and gravel residues in soils and swamps. Kimberlites, the primary host rocks for diamonds, have been discovered in the Koidu and Tongo areas. Reserves are estimated to potentially be at 6.3 million carats down to a depth of 600m at Koidu and 3.2 million carats to a depth of 600m at Tongo. Artisanal and small-scale diamond mining activities are widespread in the Kono District as well as Kenema, Bo and Pujehun Districts. Sierra Leone is renowned for the quality of its diamonds and for the recovery of some of the most spectacularly large stones of very high value. The largest diamond, discovered in February 1972, was the 969.8 ct “Star of Sierra Leone”. More recently, in 1996, two stones weighing 188 ct and 283 ct were recovered and sold. Annual diamond output reached a peak of around 2 million carats in the late 1960s, with output declining thereafter. By 1997, output was seriously disrupted by RUF rebel activity, with most of the diamondiferous areas becoming off-limits. Over the past twenty-five years, the demand for diamonds has grown annually at double-digit rates. More than 115 million carats (5 carats =1 gram), worth $60 billion at retail level, were sold in 2002. While price competition at the lower quality industrial end is severe, gemstone quality diamonds have held their prices and are expected to maintain at no less than the present level as new markets open in China and other Asian countries. We believe that the demand for diamonds will, at the very least, sustain at no less than present levels. Many industry experts actually predict the market will expand. De Beers suggests that the demand for diamonds should rise by 50% from $9.5 billion in 2003 to $14.5 billion over the next decade - a rise of almost $5 billion. That is equivalent to the combined production of Botswana, Russia and Angola. A 50% cumulative increase in demand over ten years is possible. This is in accord with the recent history of increases in demand: 11% per annum 1983-1993; and 6% per annum from 1993 to 2002. Average diamond prices are expected to rise by some 30% in real terms over the next 5 years. The predicted future demand for diamonds simply cannot be met from existing mines. Even though new diamond mines are opening up in Canada and Russia, they cannot keep pace with the diminishing output of the older mines worldwide. This trend is most noticeable among gemstone quality mines. In 2003, the demand for diamonds totaled $9.5 billion, while only $8.2 billion in diamonds were produced, leaving a $1.3 billion shortfall in supply. We have existing strategic relationships with dealers who export the purchased diamonds to New York where they are sorted, polished and cut for eventual sale to retailers. The dealers purchase the rough gem quality stones and export the rough diamonds, in full compliance with the Kimberley Certification Process, to New York, where the stones are sorted, polished and cut for eventual sale to retailers. As operations expand, we intend to polish and cut more of our product ourselves in New York, and potentially sell it directly to the consumer. Charles Huggins, Founder of JYORK, has been legally exporting diamonds and gold through the Kimberley Process, UPS (Red Coat Shipping) and customs brokers such as Malca-Amit in the United States for more than the last twelve years. Mr. Huggins became a consultant for the Company, on a long term basis, on August 8, 2011, Through these relationships, we will be able to provide product into New York. The greatest value in the diamond market is found in “gemstones”: larger, clearer, relatively flawless rocks amenable to cutting. Fifty percent of the gemstone market is controlled and largely underwritten by the De Beers’ cartel, usually referred to as the “Central Selling Organization”. Gemstones represent most of the sector’s value, account for approximately $10 billion yearly in sales of rough, or uncut stones. This translates into $25 billion of cut, but unset stones. The retail value of these gemstones is about $60 billion annually, with over one-third of the retail sales being made in the USA. The worth of an individual diamond varies according to its classification, of which there are nearly 500. Valuation is labor-intensive and highly subjective. Valuers must gamble on their estimate of the ultimate shape and qualities of the cut and polished jewel. The average price as of the date of this filing per rough carat (0.2gm) is approximately $65, but varies widely by brightness, gem size, color and shape. For example, Australian diamonds are generally small and tinted, averaging $15, while Namibian stones are clearer and bigger, averaging $260 per carat. In extreme cases, large, brilliant gems may retail for nearly $1 million per carat. Though valuing individual stones is an art form, gemstone diamonds generally are not subject to wide price swings because the market is largely controlled by the Central Selling Organization. Gold was discovered in Sierra Leone in several localities in the years from 1926 onwards, in the Sula Mountains and Kangari Hills, and in the Koinadugu, Tonkolili and Bo Districts. All greenstone belts in Sierra Leone (with the possible exception of the Marampa Group and perhaps the Kambui Hills) are known to contain gold. Rivers and streams draining these areas also carry gold. The most important known lode gold deposits occur around the Lake Sonfon area, Kalmaro, Makong, Baomahun and Komahun. At present, the only gold production in Sierra Leone comes from alluvial deposits. Notwithstanding the limited gold exports in recent years, Sierra Leone is thought to be well-endowed with gold deposits. Of all the precious metals, gold is the most popular as an investment. Investors generally buy gold as a hedge or safe haven against any economic, political, social, or fiat currency crises (including investment market declines, burgeoning national debt, currency failure, inflation, war and social unrest). 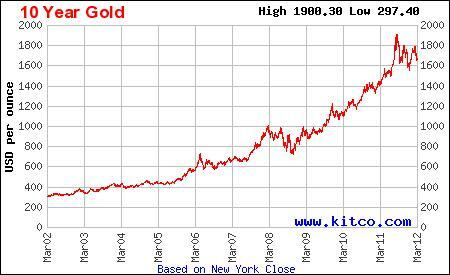 Since the year 2000, gold has gone from $300 USD per troy ounce to over $1,400 during 2011. With regards to gold, the Company is very excited with its in-ground assets, as well as its current relationships to sell this product. The Company intends to export the product directly to a U.S.-based refinery and receive then current market price minus a small refiner’s discount. On average, gold prices increased by 1.4% to US$1,386.27/oz in Q1 2011 from US$1,366.78/oz in Q4 2010, on the London PM fix (the gold price referenced will refer to the London PM fix). While gold experienced a price consolidation in the early part of the quarter, falling as low as US$1,319.00/oz on 29 January of 2011, it climbed to new record highs throughout March of 2011 and continued to achieve new highs in April 2011. More importantly, January’s 2011 price fall of 5.6% corresponded to not much over a one standard deviation move for a given month. The average monthly volatility has been 4.9% over the past ten years. Gold’s long-term supply and demand dynamics and a number of macro-economic factors ensured gold remained a sought-after asset. First, the US dollar weakened against major currencies, which in turn supported gold prices given gold’s negative correlation to the dollar. Second, comments by the Federal Reserve that signaled an extended period of low rates have kept anxieties about rising inflation entrenched in the US. Third, while inflation rates in countries such as India and China appear to have moderated, they remain uncomfortably high, promoting activity in the gold market as exemplified by higher delivery volumes in the Shanghai Gold Exchange. Fourth, unrest in Africa and the Middle East and the natural disaster in Japan, have drawn attention to gold’s quality as a vehicle to preserve capital and provide liquidity. While gold prices did not react as much as oil for example, this was in part due to gold’s ability to absorb economic and geopolitical shocks and remain less volatile. Finally, central bank activity indicates a continuation of the trend of limited supply and potential net purchases. The gold price continued its upward trend, rising during the first quarter of 2011 by 2.4% to finish the quarter at US$1,439/oz, on the London PM fix. While gold’s performance seemed more modest relative to average gains of 6.2% per quarter over the past two years, its consistency and robust growth trend has contributed significantly to its ability to provide diversification, risk management and wealth preservation to an investor’s portfolio. Gold demand in 2010 reached a 10-year high of 3,812.2 tonnes. Demand was up 9% year-on-year, and marginally above the previous peak of 2008 despite a 40% increase in the annual average price level between 2008 and 2010. In value terms, annual gold demand surged 38% to a record of US$150bn. The fourth quarter also set a new quarterly record of US$42bn. Jewelry demand was remarkably robust in the face of record prices in the majority of currencies. Annual demand for gold jewelry rose 17% from 1760.3 tonnes in 2009 to 2059.6 tonnes. The rise in annual average prices over the same period was 26%. In value terms, this resulted in record annual jewelry demand of US$81 bn. Investment demand, comprising bar and coin demand and demand for ETFs and similar products, remained more or less stable in 2010, down just 2% versus 2009. However, this annual comparison masks some more interesting movements within the various components of investment. Physical bar investment was particularly strong during the year, recording an annual gain of 56%. Conversely, demand for ETFs and similar products (as measured by GFMS) was unable to sustain the previous year’s remarkable levels and consequently was down 45% on an annual comparison. At 338.0 tonnes however, this was still the second highest year on record for ETF demand. In 2010, ‘OTC Investment and stock flows’ (previously referred to as ‘Inferred investment’) almost halved from 2009 levels to 296 tonnes. This was largely a result of strong 2009 demand in this category. However, it jumped to 238 tonnes in the fourth quarter, partly reflecting a shift from the ETF market into the OTC market, as investor interest was stimulated by debt problems in Europe and the second round of quantitative easing in the US. 2010 mine production is estimated to have increased slightly, 3% higher year-on-year, as a number of new projects across a range of countries contributed to higher levels of supply. Net producer de-hedging imposed a modest restraint on total mine supply, although de-hedging activity was relatively limited compared with 2009 as the global hedge book continued to wind down. The supply of recycled gold dipped slightly in 2010 year-on-year (-1%), although this comparison was largely influenced by the very strong first quarter of 2009. 2010 recycling activity remained elevated relative to historical averages as higher prices continued to attract profit-taking and consumers in the west became increasingly aware of opportunities and channels by which they might sell their unwanted gold items. Notably, the supply of gold from the official sector turned negative as central banks became modest net purchases of gold in 2010. Gold produced by the Company’s mining operations is intended to be processed to a saleable form at various precious metals refineries. Once refined to a saleable product – generally large bars weighing approximately 12.5 kilograms and containing 99.5% gold, or smaller bars weighing 1.0 kilograms or less with a gold content of 99.5% and above –is sold either through the refineries’ channels or directly to bullion banks with the proceeds paid to the Company. Bullion banks are registered commercial banks that deal in gold. They participate in the gold market by buying and selling gold and distribute physical gold bullion bought from mining companies and refineries to physical off take markets worldwide. Bullion banks hold consignment stocks in all major physical markets and finance these consignment stocks from the margins charged by them to physical buyers, over and above the amounts paid by such banks to mining companies for the gold. Gold price movements are largely driven by macro-economic factors such as expectations of inflation, currency fluctuations, interest rate changes or global or regional political events that are anticipated to impact on the world economy. Gold has played a role historically as a store of value in times of price inflation and economic uncertainty. This factor, together with the presence of significant gold holdings above ground, tends to dampen the impact of supply/demand fundamentals on the market. Trade in physical gold is, however, still important in determining a price floor, and physical gold, either in the form of bars or high-caratage jewelry, is still a major investment vehicle in the emerging markets of India, China and the Middle East. Gold is relatively liquid compared to other commodity markets and significant depth exists in futures and forward gold sales on the various exchanges, as well as in the over-the-counter market. Individually, India represents the strongest demand for gold in 2010 where demand gained 66% relative to 2009. India accounts for more than 40% of global gold jewelry demand and is by far the largest market for gold in jewelry. It also accounted for more than 236% of identifiable investment demand in the sector in 2010. Total bullion imports to India, though they may fluctuate significantly according to price movements during the year, have risen steadily over the last decade. The characteristics of the gold market in the Middle East are similar, although an important difference is the exceptionally high per capita ownership of gold in some of the countries of that region. In the United Arab Emirates, for example, consumption per capita is some 30 times that in the US or the UK and some 50 times higher than in India. The Middle Eastern market accounted for over 238 tons of gold demand in 2010 or approximately 113% of the global total. Turkey, Saudi Arabia, Egypt, and the United Arab Emirates are the largest consumers within this market. In terms of investment demand growth, China represented the most robust market in 2010. Compared to 2009 demand of gold for investment in 2010 grew nearly 70% from approximately 106 tonnes to a record level of 180 tonnes. In China, approximately 69% of gold is sold in the form of high caratage jewelry which is easily traded, similarly to the Indian and Middle Eastern markets. The balance of gold in China is sold in the form of 18 carat jewelry. Although introduced to the market only in 2002, sales in this category of jewelry have grown quickly due to its appeal to a rapidly-growing market segment of young, independent urban women. An important feature of the Chinese market in recent years has been the relatively stable nature of gold demand, particularly in comparison to the Indian and Middle Eastern markets, where volatility typically causes price-sensitive consumers to hold back on jewelry purchases. The US market accounted for approximately 230 tons of jewelry demand in 2010, just over 8% of the global total. High prices Gold in the USA is purchased largely as an adornment product and purchase decisions are dictated by fashion rather than the desire to buy gold as an investment. The intrinsic value of gold as a store of value does still, however, play a role in the purchase decision process. Consumers in the US purchased aproximately129 tons of gold for jewelry, compared to 105 tons for investment purposes, such as ETF’s, bullion, and coins. Gold demand excluding central banks. Geographically, just less than 80% of gold jewelry demand now originates in emerging markets, in comparison to 64% a decade ago. The major markets for gold jewelry are India, China, the Middle East and the United States. The Middle East market has also seen recent strong growth, and was one of the largest markets for gold jewelry in 2010. Turkey, Saudi Arabia, Egypt, and United Emirates (UAE) are the largest consumers in this region with an aggregate demand at 238 tons. In the economies of India and the sub-continent, gold jewelry is purchased as a quasi-investment product. High-caratage jewelry is sold at a relatively small margin to the spot gold price, which is generally transparent to the consumer, and is therefore easily re-sold to jewelers or bullion traders when cash is required or when the jewelry is out of date and needs to be refashioned. As well as holdings in ETFs, which have become a well-recognized investment vehicle for gold, primarily in the US and European markets, physical gold investment takes the form of physical bar demand and official coins. Physical investment demand has grown significantly since 2003, when it stood at just less than 300 tons, to levels of approximately 908 tons in 2010. Over the course of 2010, total demand remained stable in investment categories, decreasing slightly at 2% compared to 2009. Total Physical bar demand rose from approximately 743 tonnes in 2009 to 995 tonnes in 2010, an increase of 56% but witnessed significant decline particularly in ETFs. 2010 demand for ETFs declined from 1,359 tonnes to 1,331 tonnes, a decrease of 2%. Holdings in the ETF’s decreased from 617.1 tonnes to 338 tonnes, a decrease of nearly 45% in a single year. However, investment in bar hoarding and coin demand rose from 743 tonnes to 995 tonne, an increase of nearly 25%. The largest industrial use of gold is in electronics, as plating or bonding wire. In line with the growth in the use of personal computers and other electronic instruments globally, the use of gold in this sector has also increased, averaging a growth rate of over 9% in the five-year period from 2002-2007. However, in 2008 consumption of gold in the electronics industry was approximately 439 tonnes, compared to 2009 where it fell to nearly 373 tonnes, a decline of nearly 15%. Total demand for 2010 rose back to 420 tonnes, an increase of nearly 10%. The overall quantity of gold used in this sector, however, remains small, at only 11% of total demand. Demand for gold for dentistry purposes continues to decline, however this constitutes only a small portion of total demand, less than 2% of the global total. Gold held by the official sector, essentially central banks and the IMF, stood at approximately 64,135 tonnes in 2010. Periodically, central banks buy and sell gold as market participants. Most central bank sales take place under the Central Bank Gold Agreements (CBGA) and therefore without any significant impact on the market. The third Central Bank Gold Agreement (CBGA3) currently in effect encompasses the gold sales of the Euro system central banks, specifically Sweden and Switzerland. Similar to the previous agreements, CBGA3 remains in effect for a five-year period, which began on the expiration date of its predecessor (September 27, 2009 to September 26, 2014). This agreement includes two important features which differ from the two previous agreements. First, the parties reduced the ceiling so that “annual sales will not exceed 400 tonnes and total sales over this period will not exceed 2,000 tonnes,” which is 500 tonnes less than CGBA2. The second major difference in the CBGA3 is that the agreement took into account the fact that the IMF intended to sell 403 tonnes of gold, and stated that these sales “can be accommodated within the above ceiling”. The diamond and gold mining and exporting industry is intensely competitive. We will compete with numerous other mining companies in connection with the acquisition, exploration, financing and development of diamond and gold properties. Many of the other competing companies are significantly larger than the Company and have far greater resources both monetary and work-force to rely upon. There is competition for the limited number of gold acquisition and exploration opportunities, some of which are with other companies having substantially greater financial resources than we have. We also will compete with other mining companies for mining engineers, geologists and other skilled personnel in the mining industry and for exploration and development equipment. There can be no assurance that we will be sufficiently capitalized to compete with such companies in Africa; particularly those that have both greater resources and longer operating histories than the Company’s. As of the date of this 10-K, and as a result of our recent organizational establishment, we have 3 employees. As mining and exportation activities commence, increase or decrease, we may have to adjust our technical, operational and administrative personnel as appropriate. We are using and will continue to use independent consultants and contractors to perform various professional services. We believe that this use of third-party service providers may enhance our ability to contain operating and general expenses, and capital costs. On August 8, 2011, we entered into a Consultant Agreement with Mr. Charles Huggins, wherein he agreed to assist the Company in locating working interest partner, mining concessions, mining operations, and similar financing and business agreements to further the Company’s business in West Africa on a “best efforts” basis. This agreement provides the Company with Mr. Huggins’ services on a long term basis. Mr. Huggins has, over the past 20 years been involved in numerous business ventures throughout West Africa, all of which have involved natural resources, including such activities as the purchase of such resources in country and sale of the same on the international market, the acquisition of recovery rights and other like activities. Mr. Huggins was also the founder of JYORK Industries, Inc. He has also developed strong relationships with West African business leaders and become well acquainted with the governmental processes and regulations that are involved in the various types of dealings. Identifying, negotiating and/or obtain contracts, rights and/or other agreements for the mining or acquisition of diamonds, gold and/or other natural resources with rights holders throughout the world, on behalf of the Company. Obtaining governmental approvals and/or authorizations to use, implement or otherwise exploit any contracts or agreements obtained by Mr. Huggins and entered into by the Company. Locate, negotiate the purchase of and/or obtain diamonds, gold or other precious minerals on behalf of the Consultant throughout the world. Facilitate the transportation of such minerals obtained to the United States and further assist in the sale of such minerals obtained and transported. The term of the agreement is for five (5) years beginning on August 8, 2011. The agreement may be extended by and between the parties. The Company agreed to pay Mr. Huggins 5% all the gross income (the “Commission”) of the Company. Gross income shall mean all income received by the Company, less any payment that the Company must make for: the acquisition and sale of any gold, diamonds or other minerals (including, but not limited to, the costs of the purchase of any gold, diamonds or precious minerals; taxes, insurance and transportation costs payable on same; the cost of finishing and polishing any diamonds; and any other like inherent costs of such transaction); and all costs incurred in connecting with the recovery and subsequent sale of any gold, diamonds or other minerals recovered from any operations being conducted pursuant to any contract, license or other agreement the Company may have for the performance of such activities. Mr. Huggins’ Commission shall be paid to him in perpetuity, and shall be considered as an asset of his estate and shall be deemed a descendible right that shall be passed to his heirs as he so designates by his will, or if he dies intestate, then in accordance with the laws of the State of New York. Additionally, the Company agreed to pay all of Mr. Huggins’ expenses for travel and accommodations in connection with the fulfillment of his duties. The Company will also provide Mr. Huggins with an automobile and driver who also will act in place of a security guard. We are subject to the informational requirements of the Securities Exchange Act of 1934, as amended. All of our reports are able to be reviewed through the SEC’s Electronic Data Gathering Analysis and Retrieval System (EDGAR) which is publicly available through the SEC’s website (http://www.sec.gov). Diamond and gold prices are volatile and there can be no assurance that a profitable market for diamonds, gold and gems will exist. The diamonds and metals mining industry is intensely competitive, and there is no assurance that, even if the Company discovers commercial quantities of diamonds, gold and other mineral resources, a profitable market will exist for the sale of those resources. There can be no assurance that diamond and gold prices will remain at such levels or be such that the Company can mine at a profit. Factors beyond the Company’s control may affect the marketability of any minerals discovered. Diamond and gold prices are subject to volatile changes resulting from a variety of factors including international, economic and political trends, expectations of inflation, global and regional supply and demand and consumption patterns, metal stock levels maintained by producers and others, the availability and cost of metal substitutes, currency exchange fluctuations, inflation rates, interest rates, speculative activities and increased production due to improved mining and production methods. The Company is subject to substantial environmental and other regulatory requirements and such regulations are becoming more stringent. Non-compliance with such regulations, either through current or future operations or a pre-existing condition could materially adversely affect the Company. All phases of the Company’s operations are subject to environmental regulations in the jurisdiction in which it operates. Environmental legislation is evolving in a manner that will require stricter standards and enforcement, increased fines and penalties for non-compliance, more stringent environmental assessments of proposed projects and a heightened degree of responsibility for companies and their officers, directors, and employees. There can be no assurance that future changes in environmental regulation, if any, will not be materially adverse to the Company’s operations. The Company’s properties may contain environmental hazards, which are presently unknown to the Company and which have been caused by previous or existing owners or operators of the properties. If these properties do contain such hazards, this could lead to the Company being unable to use the properties or may cause the Company to incur costs to clean up such hazards. In addition, the Company could find itself subject to litigation should such hazards result in injury to any persons. Government approvals and permits are sometimes required in connection with mining operations. Although the Company believes it will obtain all of the material approvals and permits to carry on its operations, the Company may require additional approvals or permits or may be required to renew existing approvals or permits from time to time. Obtaining or renewing approvals or permits can be a complex and time-consuming process. There can be no assurance that the Company will be able to obtain or renew the necessary approvals and permits on acceptable terms, in a timely manner, or at all. To the extent such approvals are required and not obtained; the Company may be delayed or prohibited from proceeding with planned exploration, development or mining of mineral properties. Failure to comply with applicable laws, regulations and permitting requirements may result in enforcement actions thereunder, including orders issued by regulatory or judicial authorities, that may require operations to cease or be curtailed, or corrective measures requiring capital expenditures, installation of additional equipment, or remedial actions. Parties engaged in mining operations may be required to compensate those suffering loss or damage by reason of the mining activities and may have civil or criminal fines or penalties imposed for violations of applicable laws or regulations. Amendments to current laws, regulations and permits governing operations and activities of mining companies, or more stringent implementation of such requirements could have a material adverse impact on the Company and cause increases in capital expenditures or production costs or reductions in levels of production at producing properties or require abandonment or delays in development of new mining properties. Our auditor’s “Going Concern” qualification in our financial statements might create additional doubt about our ability to stay in business, which could result in a total loss on investment by our stockholders. Our financial statements have been prepared assuming that we will continue as a “going concern.” We are in the development stage and, accordingly, have generated minimal revenues from operations. Since our inception, we have been engaged substantially in financing activities and developing our business plan and incurring start up costs and expenses. As a result, we have incurred accumulated net losses from inception. In addition, our development activities since inception have been financially sustained through equity financing. These issues raise substantial doubt about our ability to continue as a going concern. Our auditor’s report reflects the fact that the ability of Oraco to continue as a going concern is dependent upon our ability to raise additional capital from the sale of stock and, ultimately, the achievement of significant operating revenues. Decrease in value of diamonds and gold could result in decreased revenues. While we intend to mine for other precious stones and metals, our business is currently focused on mining for diamonds and gold. Thus, in the event the price of diamonds and/or gold decreases, our revenues and/or profit margins could likewise decrease. We will be competing with better established companies. We will not be the first company to attempt to mine for diamonds and other precious stones and metals in Sierra Leone. There are other companies whose equipment may be more advanced than ours, and whose methods may be more cost-effective. Further, we will be facing competition from better established companies, which may have better local, regional and national connections in Sierra Leone, and whose efforts produce larger quantities or higher quality diamonds. There has been political instability in Sierra Leone which, if reignited, could adversely affect our business. Between 1991 and 2002, Sierra Leone was engaged in a civil war, in which tens of thousands of people were killed and more than two million people were displaced. Control of Sierra Leone’s diamond industry was the primary cause of this war. Since 2002, the government has been stable. However, given the history of that country, and the previous focus on the disparity between Sierra Leone’s diamonds and the poverty of many of its citizens, there is the risk that other conflicts will arise. Such political strife could adversely affect our ability to mine diamonds and other precious stones and metals in Sierra Leone. Diamond and gold prices, and natural resources in general, are volatile and there can be no assurance that a profitable market for diamonds, gold and gems will exist. Mining involves various types of risks and hazards, including environmental hazards, unusual or unexpected geological operating conditions such as rock bursts, structural cave-ins or slides, flooding, earthquakes and fires, labor disruptions, industrial accidents, metallurgical and other processing problems, metal losses, and periodic interruptions due to inclement or hazardous weather conditions. These risks could result in damage to, or destruction of, mineral properties, production facilities or other properties, personal injury, environmental damage, delays in mining, increased production costs, monetary losses, and possible legal liability. The Company may not be able to obtain insurance to cover these risks at economically feasible premiums. Insurance against certain environmental risks, including potential liability for pollution or other hazards as a result of the disposal of waste products occurring from production, is not generally available to the Company or to other companies within the mining industry. The Company may suffer a material adverse effect on its business if it incurs losses related to any significant events that are not covered by its insurance policies. Calculation of mineral resources and metal recovery is only an estimate, and there can be no assurance about the quantity and grade of minerals until resources are actually mined. The calculation of reserves, resources and corresponding grades being mined or dedicated to future production are imprecise and depend on geological interpretation and statistical inferences or assumptions drawn from drilling and sampling analysis, which might prove to be unpredictable. Mineral resources that are not mineral reserves do not have demonstrated economic viability. Until reserves or resources are actually mined and processed, the quantity of reserves or resources and grades must be considered as estimates only. Any material change in the quantity of reserves, resources, grade or stripping ratio may affect the economic viability of the Company’s properties. In addition, there can be no assurance that metal recoveries in small-scale field or laboratory tests will be duplicated in larger scale tests under on-site conditions or during actual mining production. The Company’s operations involve exploration and development and there is no guarantee that any such activity will result in commercial production of mineral deposits. There has been no drilling to test the depth potential of commercial ore on these properties, and proposed programs on such properties are exploratory in nature only. Development of these mineral properties is contingent upon obtaining satisfactory exploration results. Mineral exploration and development involve substantial expenses and a high degree of risk, which even a combination of experience, knowledge and careful evaluation may not be able to adequately mitigate. There is no assurance that additional commercial quantities of ore will be discovered on the Company’s exploration properties. There is also no assurance that, even if commercial quantities of ore are discovered, a mineral property will be brought into commercial production, or if brought into production, that it will be profitable. The discovery of mineral deposits is dependent upon a number of factors including the technical skill of the exploration personnel involved. The commercial viability of a mineral deposit is also dependent upon, among a number of other factors, its size, grade and proximity to infrastructure, current metal prices, and government regulations, including regulations relating to royalties, allowable production, importing and exporting of minerals, and environmental protection. Most of the above factors are beyond the Company’s control. Competition for new mining properties may prevent the Company from acquiring interests in additional properties or mining operations. Significant and increasing competition exists for mineral acquisition opportunities throughout the world. Some of the competitors are large, more established mining companies with substantial capabilities and greater financial resources, operational experience and technical capabilities than the Company. As a result of the competition, the Company may be unable to acquire rights to exploit additional attractive mining properties on terms it considers acceptable. Increased competition could adversely affect the Company’s ability to attract necessary capital funding or acquire any interest in additional operations that would yield reserves or result in commercial mining operations. Recent high diamond and metal prices have encouraged increased mining exploration, development and construction activity, which has increased demand for, and cost of, exploration, development and construction services and equipment. Actual capital costs, operating costs, production and economic returns may differ significantly from those the Company has anticipated and there can be no assurance that any future development activities will result in profitable mining operations. Capital and operating costs, production and economic returns, and other company estimates for the Company's projects may differ significantly from those anticipated by the Company’s current studies and estimates, and there can be no assurance that the Company’s actual capital and operating costs will not be higher than currently anticipated. In addition, delays to construction schedules may negatively impact the net present value and internal rates of return of the Company’s mineral properties as set forth in the applicable feasibility studies. There can be no assurance that the interests held by the Company in its properties is free from defects. The Company has investigated the rights to explore and exploit its properties, and, to the best of its knowledge, those rights are in good standing. No guarantee can be given that such rights will not be revoked or significantly altered to the detriment of the Company. There can also be no guarantee that the Company’s rights will not be challenged or impugned by third parties. The properties may be subject to prior recorded and unrecorded agreements, transfers or claims, and title may be affected by, among other things, undetected defects. A successful challenge to the precise area and location of these claims could result in the Company being unable to operate on these properties as permitted or being unable to enforce any rights with respect to its properties. The Company is exposed to risks of changing political stability and government regulation in the country in which it intends to operate. The Company’s mining rights in Sierra Leone or elsewhere in West Africa that may be affected in varying degrees by political instability, government regulations relating to the mining industry and foreign investment therein, and the policies of other nations in respect of companies operating in Sierra Leone or other countries in West Africa. Any changes in regulations or shifts in political conditions are beyond the control of the Company and may adversely affect its business. The Company’s operations may be affected in varying degrees by government regulations, including those with respect to restrictions on production, price controls, export controls, income taxes, expropriation of property, employment, land use, water use, environmental legislation and mine safety. The regulatory environment is in a state of continuing change, and new laws, regulations and requirements may be retroactive in their effect and implementation. The Company’s operations may also be affected in varying degrees by political and economic instability, economic or other sanctions imposed by other nations, terrorism, military repression, crime, extreme fluctuations in currency exchange rates and high inflation. The Company is subject to substantial environmental and other regulatory requirements of the various countries in which the Company will conduct business and operations, and such regulations are becoming more stringent. Non-compliance with such regulations, either through current or future operations or a pre-existing condition could materially adversely affect the Company. Because the Company’s success is dependent upon a limited number of people, our business may fail if those individuals leave the Company. The ability to identify, negotiate and consummate transactions that will benefit the Company is dependent upon the efforts of the Company’s management team. While the Company has no assurance that its current management will produce successful operations, the loss of such personnel could have an adverse effect on meeting its production and financial performance objectives. The Company’s planned drilling activities may require significant investment in additional personnel and capital equipment. While our current management has field experience in West Africa related to the acquisition and sale of gold and diamonds it lacks technical training and experience with exploring for, starting, and operating a mine; and with no direct training or experience in requirements related to working within the industry, our management may be unable to manage the Company’s operations. Our current management lacks the technical training and experience with exploring for, starting, and operating a mine. Because of that, we may face additional risks and challenges, for which we have no ability to forecast. There can be no assurance that our current management will produce successful operations and we are significantly dependent upon our ability to locate, attract and hire experienced personnel. In the event we are unable to do so, we may be unable to manage the planned operations of the Company. Our present limited operations have not yet proven profitable. To date we have not shown a profit in our operations. We cannot assure that we will achieve or attain profitability in 2012 or at any other time. If we cannot achieve operating profitability, we may not be able to meet our working capital requirements, which will have a material adverse effect on our business operating results and financial condition. We have no proven or probable reserves or feasibility studies. Accordingly, our property may not contain any reserves, and any funds spent by us on exploration or development could be lost. We have not established the presence of any proven or probable mineral reserves, as defined by the SEC, at our property. The SEC has defined a “reserve” as that part of a mineral deposit which could be economically and legally extracted or produced at the time of the reserve determination. Any mineralized material discovered by us should not be considered proven or probable reserves. In order to demonstrate the existence of proven or probable reserves, it would be necessary for us to continue exploration to demonstrate the existence of sufficient mineralized material with satisfactory continuity and then obtain a positive feasibility study. Exploration is inherently risky, with few properties ultimately proving economically successful. We intend to pursue additional exploration for the purpose of establishing proven or probable reserves. Establishing reserves requires a feasibility study demonstrating with reasonable certainty that the deposit can be economically extracted and produced. We have not completed a feasibility study with regard to our property. We are a start-up company with limited operating history. We have conducted only very limited exploration and mining activities. Accordingly, we have a limited operating history and our business strategy may not be successful. Our failure to implement a successful business strategy will materially adversely affect our business, financial condition and results of operations. Planned acquisitions come with various risks, along with dilution to our stockholders, both of which can be adverse. Acquisitions, mergers and joint ventures entered into by us may have an adverse effect on our business. We expect to engage in acquisitions, mergers or joint ventures as part of our long-term business strategy. These transactions involve significant challenges and risks, including that the transaction does not advance our business strategy, that we don't realize a satisfactory return on our investment, or that we experience difficulty in the integration of new assets, employees, business systems, and technology, or diversion of management's attention from our other businesses. These events could harm our operating results or financial condition. Because our common stock is deemed a low-priced “Penny” stock, an investment in our common stock should be considered high risk and subject to marketability restrictions. In some circumstances, approve the purchaser’s account under certain standards and deliver written statements to the customer with information specified in the rules. Concentrated Ownership. An excess of a majority of our outstanding voting securities are held by less than 10 persons and they can elect all directors who in turn elect all officers, without the votes of any other stockholders. Messrs. Rosen and Butchko and Ms. Thomas, together with Otoro Holdings, LLC, collectively, own 70% of our outstanding voting securities and, accordingly, have effective control of us and may have effective control of us for the near and long term future. Votes of other stockholders can have little effect when we are managed by our Board of Directors and operated through our officers, all of whom can be elected by these persons. Our internal controls may be inadequate, which could cause our financial reporting to be unreliable and lead to misinformation being disseminated to the public. Our management is responsible for establishing and maintaining adequate internal control over financial reporting. As defined in Exchange Act Rule 13a-15(f), internal control over financial reporting is a process designed by, or under the supervision of, the principal executive and principal financial officer and effected by the board of directors, management and other personnel, to provide reasonable assurance regarding the reliability of financial reporting and the preparation of financial statements for external purposes in accordance with generally accepted accounting principles and includes those policies and procedures that: (i) pertain to the maintenance of records that in reasonable detail accurately and fairly reflect the transactions and dispositions of the assets of Oraco Resources, Inc.; (ii) provide reasonable assurance that transactions are recorded as necessary to permit preparation of financial statements in accordance with generally accepted accounting principles, and that receipts and expenditures of Oraco Resources, Inc. are being made only in accordance with authorizations of management and directors of Oraco Resources, Inc., and (iii) provide reasonable assurance regarding prevention or timely detection of unauthorized acquisition, use or disposition of Oraco Resources, Inc.’s assets that could have a material effect on the financial statements. We have two individuals performing the functions of all officers and directors. These individuals developed our internal control procedures and are responsible for monitoring and ensuring compliance with those procedures. As a result, our internal controls may be inadequate or ineffective, which could cause our financial reporting to be unreliable and lead to misinformation being disseminated to the public. Investors relying upon this misinformation may make an uninformed investment decision. We do not own any real property. We currently maintain an office for the Company at 189 Brookview Drive, Rochester, NY 14617. We also maintain an office in Sierra Leone for the wholly owned subsidiary JYORK at 28 Spur Loop Suite 6, Wilberforce, Freetown, Sierra Leone . We have no monthly rent, nor do we accrue any expense for monthly rent. An officer of ORI provides us his office in which we conduct business on our behalf. We do not believe that we will need to obtain additional office space within the next 12 months, until our business plan is more fully implemented. On June 16, 2007, JYORK entered into an agreement with Paramount Chief Fengai Kaimachiande III and the Gbense Chiefdom of the Kono District (the “Grantors”). The offer to enter into the agreement with JYORK, and consummation of the agreement, was based upon the personal relationships that had been established between the representatives of JYORK and Paramount Chief Fengai Kaimachiande III as well as the Gbense Chiefdom local Authorities over many years of interaction. The agreement incorporates an aggregate total of approximately 18 acres of land located in the Kono District. It is in the town of New Sefadu, which is near the town of Koidu, approximately 50 kilometers south of the Guinea border. Access to the claim is mainly by a road that runs from Freetown, which is approximately 215 miles to the west. Approximately 125 miles of the road is paved, with the remaining 90 miles being made of gravel. Power is supplied by generator and water is obtained via pump. There is no significant infrastructure at the site at this time, other than that which already exists for the town of New Sefadu itself. The term of the agreement was initially for 10 years from the date of the agreement, plus five additional options granted to JYORK to extend the agreement by one year per option. However, on January 25, 2011, an extension of the agreement was granted, which extension provided that the beginning date from which the ten year term was to be calculated was altered to January 25, 2011. The agreement creates a cooperative relationship between JYORK and the Grantors, with the owners of the lands retaining full ownership of the properties while JYORK obtained the rights in the land for the term of the agreement. The rights granted by the agreement incorporate the recovery process of all precious minerals and all natural resources below and above the ground on an exclusive basis for the term of the agreement. Pursuant to the agreement, JYORK is to provide all the technical expertise, machinery, and plants (including, but not limited to, living quarters for the employees and their daily food requirements) required to undertake the recovery process of all precious minerals and all natural resources below and above the ground, as well as the management of the operation. Further pursuant to the agreement, the Grantors are responsible for obtaining all licenses and/ or permits necessary to conduct all operations, as well as the employees needed to operate. An additional provision of the agreement was that the recovery operation was to commence within 12 months of the execution of the agreement. However, on January 25, 2011, an extension of the agreement was granted, which extension provided that the beginning date from which the 12 month period was to be calculated was altered to January 25, 2011. As more fully described above, the agreement provides that the net profits derived from the value of the precious minerals and natural resources recovered, as such value is determined by the Sierra Leone Gold and Diamond Office, shall be divided between the parties as follows: 30% to the Grantors and 70% to JYORK. The Grantors shall be paid their percentage by JYORK upon the conclusion of the evaluation. JYORK will then take control of the items recovered. Set out above is a map of the Kono District provided by the Sierra Leone Information System, first published July 23, 2002. The Gbense Chiefdom, in which Tailings Number 5 is located, is outlined in yellow. Koidu Town, which is the place of business for the Gbense Chiefdom’s Authorities, is designated by the orange dot. Tailings # 5 is located in New Sefadu, which is adjacent to Koidu Town. Access from Freetown, which is the capital and where the airport is located, is via 215 miles of road, of which approximately 125 miles is paved and 90 miles is gravel. Between 1961 and 1963, bulk sampling of the No. 5 mining area were conducted by the National Diamond Mining Corporation (NDMC). The NDMC made three mining cuts along the east/west axis of the site. The cuts approximated the course of the old Koyie river/stream which enters the mining lease from the south west. NDMC mined approximately 2,500 cubic meters of gravel. Records indicate that 1,713 cubic meters of gravel were processed and produced 2,298 carats, indicating a presence of 1.34 carats per cubic meter. The Company is not relying exclusively on these dated figures for forecasting purposes. However, the fact that this prior study, dated as it is, found the presence of diamonds in a relatively high concentration in the samples taken is a strong and positive indicator of the existence of diamonds throughout the area. While no mining activities have begun at the Tailings #5 site, surveyors have been selected to establish the precise meets and bounds of the concession. On February 7, 2011, JYORK entered into an agreement with The Baysuagung-Gbeya Cooperative Mining Society (the “Cooperative”) represented by Paramount Chief Metzger Bondo Konneh, Section Chief Momoh Sheriff, Town Chief Brima Dakoi, Momoph Kanneh, Lamin Kanneh and Mamei Gutu Kanneh. The offer to enter into the agreement with JYORK, and consummation of the agreement, was based upon the personal relationships that had been established between the representatives of JYORK and the representatives of the Cooperative over many years of interaction. The agreement encompasses approximately 400 acres of land located in Pujehun District, Makpele Chiefdom, near the town of Gbeyama. It is bounded on the east side by the Mano River and on the north side by the Gbeyama River. The claim reaches west to the Mattai Township and south to the Beacon Township. While no mining operations have commenced in the Zimmi concession as of yet, surveyors have been identified for the purposes of establishing the precise meets and bounds of the claim. Once this is complete, geological/geophysical reports will be obtained. The Company is presently negotiating with a select few companies to do these reports, and a decision as to who will be retained should be made shortly. The Zimmi concession is registered under the tax payer file number GDCC/91. Access to the properties is by 215 miles of road, 180 miles of which (to the township of Bo) is paved road, and the remaining 35 miles to Zimmi is dirt road. Water is obtained via pumping and from the river, while electricity is provided via generator. However, no significant infrastructure exists at this time. The term of the agreement is for 25 years plus five additional options granted to JYORK to extend the agreement by one year per option. The agreement creates a cooperative relationship between JYORK and the Cooperative, with the owners of the lands retaining full ownership of the properties while JYORK obtained the rights in the land for the term of the agreement. The rights granted by the agreement incorporate the recovery process of all precious minerals and all natural resources below and above the ground on an exclusive basis for the term of the agreement from lands and area under the control of the Cooperative. Pursuant to the agreement, JYORK is to provide all the technical expertise, machinery, and plants (including, but not limited to, living quarters for the employees and their daily food requirements) required to undertake the recovery process of all precious minerals and all natural resources below and above the ground, as well as the management of the operation. Further pursuant to the agreement, the Cooperative is responsible for obtaining all licenses and/ or permits necessary to conduct all operations, as well as the employees needed to operate. An additional provision of the agreement is that the recovery operation shall commence within 12 months of the execution of the agreement. As more fully described above, the agreement provides that the net profits derived from the value of the precious minerals and natural resources recovered, as such value is determined by the Sierra Leone Gold and Diamond Office, shall be divided between the parties as follows: 30% to the Cooperative and 70% to JYORK. The Cooperative shall be paid its percentage by JYORK upon the conclusion of the evaluation. JYORK will then take control of the items recovered. Location where the Baysuagung-Gbeya Cooperative Mining Society’s Zimmi properties are located. On April 20, 2011, JYORK entered into an agreement with the local Authorities of the Nimikoro Chiefdom represented by Paramount Chief Alah Denton Bona Foamansa III and Ambassador Sahr E. Johnny. The property is designated by the Director of Mines under the Certificate of Registration as Number 10/2011. The term of the agreement is for 25 years plus five additional options granted to JYORK to extend the agreement by one year per option. The agreement creates a cooperative relationship between JYORK and Paramount Chief Alah Denton Bona Foamansa III and Ambassador Sahr E. Johnny, with the owners of the lands retaining full ownership of the properties while JYORK obtained the rights in the land for the term of the agreement. The rights granted by the agreement incorporate the recovery process of all precious minerals and all natural resources below and above the ground on an exclusive basis for the term of the agreement from lands and area under the control of Paramount Chief Alah Denton Bona Foamansa III and Ambassador Sahr E. Johnny. Pursuant to the agreement, JYORK is to provide all the technical expertise, machinery, and plants (including, but not limited to, living quarters for the employees and their daily food requirements) required to undertake the recovery process of all precious minerals and all natural resources below and above the ground, as well as the management of the operation. Further pursuant to the agreement, Paramount Chief Alah Denton Bona Foamansa III and Ambassador Sahr E. Johnny is responsible for obtaining all licenses and/ or permits necessary to conduct all operations, as well as the employees needed to operate. An additional provision of the agreement is that the recovery operation shall commence within 12 months of the execution of the agreement. As more fully described above, the agreement provides that the net profits derived from the value of the precious minerals and natural resources recovered, as such value is determined by the Sierra Leone Gold and Diamond Office, shall be divided between the parties as follows: 30% to Paramount Chief Alah Denton Bona Foamansa III and Ambassador Sahr E. Johnny and 70% to JYORK. Paramount Chief Alah Denton Bona Foamansa III and Ambassador Sahr E. Johnny shall be paid its percentage by JYORK upon the conclusion of the evaluation. JYORK will then take control of the items recovered. Location of the Nimini Hills concession. No mining operations have begun as of yet at the Zimmi concession. However, surveyors have been selected to establish the precise meets and bounds of the concession. Once this has been completed, a geological/geophysical company will be retained to do the feasibility report so that the next stages of work can be done. Once the feasibility report has been completed, we will be able to provide a detailed plan of all future costs. The Company is presently negotiating with a select few companies to do these reports, and a decision as to who will be retained should be made shortly. Once reports are completed for all sites, equipment lists will be finalized for the equipment purchase and staff requirements. Equipment coming from the United States will take approximately six weeks to arrive once sent. It is our intention and goal to have equipment starting to arrive and becoming operational no later than the last quarter of 2012. However, this estimate is subject to change based upon unknown factors such as the ability to timely raise the necessary capital, the actual amount of time it will take to complete all surveys and reports and other like variables. In March of 2008, JYORK entered into an agreement with Mr. Paul Dunbar, a land owner and acting representative of additional land owners, concerning mining rights to a ten acre site that is in the Boroma Gbense Chiefdom. The offer to enter into the agreement with JYORK, and consummation of the agreement, was based upon the personal relationships that had been established between the representatives of JYORK and Mr. Dunbar and the landowners. The Boroma site is located northwest of the city of Koidu in the Kono District. Specifically, the site was located at the Boroma Village Moindekor Section Gbense Chiefdom Kono District. The mining was to be conducted under the mining license number 2008/2272/AS/ML. This license was for artisanal and small scale mining. This agreement committed JYORK to funding the mining activities, but provided JYORK with 50% of the profits derived from the sale of all diamonds recovered from the site. The agreement also gave JYORK the first right of refusal to purchase for itself any of the recovered diamonds. JYORK did not conduct any significant mining at the Boroma Mining Area for a somewhat substantial amount of time, so, prior to May 16, 2011, JYORK had considered the rights to have been abandoned. However, in mid-2011, an agent of JYORK discovered that some mining activities were being conducted at the Boroma Mining Area. On his own initiative, JYORK’s agent, by way of court action, obtained a ruling that enjoined any party except JYORK from mining at the site and directed Mr. Dunbar and his partners to pay any damages to JYORK for any activity that had been conducted at the site. JYORK now has complete control of the Boroma Mining Area, and divides the profits obtained from the sale of any recovered diamonds or other minerals evenly with the Gbense Chiefdom. The city of Koidu is marked in orange. The Boroma Mining Area lies a few kilometers to the northwest of the city. Access is from Freetown, which is the capital and where the airport is located, is via 215 miles of road, of which approximately 125 miles is paved and 90 miles is gravel. There has been some excavation that has been performed at the site, but the gravel that has been removed has yet to be washed. This presents the Company to begin artisanal washing of this gravel shortly. It is believed that there is a relatively strong potential for recovery of high quality large stones and gold mineralization based upon the previous nominal activities on the site. There are no bonding requirements that must be met in order to conduct either exploration or mining in Sierra Leone. All permits and licenses that must be obtained pursuant to the Mines and Minerals Act 2009 are submitted and processed through the Mining Cadastre Office in Freetown, except for licenses to conduct artisanal mining, which are submitted and processed in the regional offices in Koidu, Makeni, Kenema and Bo. There are several steps to securing the rights to mine. First, a surface lease must be entered into with the landowner. Next a grant of mineral rights must be obtained from the government. The types of licenses that are issued by the government are: reconnaissance licenses, which cannot be for a period of more than one year; exploratory licenses, which cannot be for a period of more than four years; artisanal licenses, which shall not be for more than one year, but can be renewed for three additional periods of one year; small-scale mining licenses, which are good for three years and can be renewed an indeterminate number of times for three years each; and large scale mining licenses, which shall not exceed either 25 years or the estimated life of the ore body that is proposed to be mined, whichever is shorter. All applications for any license except an artisanal license must be determined within 60 days of filing. An application for an artisanal license must be determined within 14 days of filing. Licenses to undertake artisanal and small scale mining have been obtained for Zimmi, and the license to undertake small scale mining has been obtained for Nimini Hills. The regulations that impact upon mining activities are The Environmental Protection Agency Act of 2008 and The Mines and Minerals Act of 2009. In accordance with The Environmental Protection Agency Act of 2008, mining activities may not be undertaken unless a valid license to mine has been issued. In accordance with, The Environmental Protection Agency Act of 2008, a license to undertake mining may not be issued an environmental impact assessment has been completed. The Minister may waive this requirement if, after taking into consideration the need to conserve the natural resource and the land from which it is extracted, it is felt that no such study is needed. The Mines and Minerals Act of 2009 states that no mining (excluding artisanal mining), may be conducted until a mining license is issued. The issuance will not occur until the project has been approved by The Environmental Protection Agency. Our diamond and gold projects are subject to various federal, state and local laws and regulations governing protection of the environment. These laws are continually changing and, in general, are becoming more restrictive. Our policy is to conduct business in a way that safeguards public health and the environment. We believe that our operations are in material compliance with applicable laws and regulations. Changes to current local, state or federal laws and regulations in the jurisdictions where we operate could require additional capital expenditures and increased operating and/or reclamation costs. Although we are unable to predict what additional legislation, if any, might be proposed or enacted, additional regulatory requirements could impact the economics of our planned projects. We estimate that we will not incur material capital expenditures for environmental control facilities during the current fiscal year. All small-scale and large-scale license holders must provide financial assurance for the performance against any obligations originating from an environmental impact assessment and management plan. Artisanal mining license holders are expected to submit a simple environmental management plan detailing expected impacts and plans for mitigation and management of impacts. From time to time, we may become involved in various lawsuits and legal proceedings which arise in the ordinary course of business. However, litigation is subject to inherent uncertainties, and an adverse result in these or other matters may arise from time to time that may harm our business. We are not presently a party to any material litigation, nor to the knowledge of management is any litigation threatened against us, which may materially affect us. Our common stock is quoted on the OTC Markets QB (OTCQB), under the symbol “ORAC.” We have been eligible to participate in the OTC Bulletin Board since August 25, 2011. The following table sets forth the quarterly high and low bid prices for our common stock during our last fiscal year, as reported by a Quarterly Trade and Quote Summary Report of the OTC Bulletin Board. The quotations reflect inter-dealer prices, without retail mark-up, markdown or commission, and may not necessarily represent actual transactions. As of April 11, 2012, we had approximately 112 stockholders of record of the 23,725,360 shares outstanding. The payment of dividends is subject to the discretion of our Board of Directors and will depend, among other things, upon our earnings, our capital requirements, our financial condition, and other relevant factors. We have not paid or declared any dividends upon our common stock since our inception and, by reason of our present financial status and our contemplated financial requirements, do not anticipate paying any dividends upon our common stock in the foreseeable future. other factors, including any applicable laws. Therefore, there can be no assurance that any dividends on the common stock will ever be paid. We currently do not maintain any equity compensation plans. During October 2011, we sold 2,000 units (each unit consists of 1 share of our restricted common stock and 1 callable common stock purchase warrant priced at $2.00 per share for up to 12 months) to 2 accredited investors for a total purchase price of $2,000 all of which was paid in cash. During November 2011, we sold 20,000 units (each unit consists of 1 share of our restricted common stock and 1 callable common stock purchase warrant priced at $2.00 per share for up to 12 months) to 1 accredited investor for a total purchase price of $20,000 all of which was paid in cash. We believe that the issuance and sale of the above securities were exempt from the registration and prospectus delivery requirements of the Securities Act of 1933 by virtue of Section 4(2), Regulation D and/or Regulation S. The securities were issued directly by us and did not involve a public offering or general solicitation. The recipient of the securities was afforded an opportunity for effective access to files and records of our company that contained the relevant information needed to make her investment decision, including our financial statements and 34 Act reports. We reasonably believed that the recipient, immediately prior to issuing the securities, had such knowledge and experience in our financial and business matters that she was capable of evaluating the merits and risks of its investment. The recipient had the opportunity to speak with our management on several occasions prior to her investment decision. There were no commissions paid on the issuance and sale of the shares. During the three months ended March 31, 2012, we sold 95,000 units (each unit consists of 1 share of our restricted common stock and 1 callable common stock purchase warrant priced at $2.00 per share for up to 12 months) to 5 accredited investors for a total purchase price of $95,000 all of which was paid in cash. The Company did not repurchase any of its equity securities during the fourth quarter ended December 31, 2011. This item is not applicable, as we are considered a smaller reporting company. As a result of the completion of the acquisition of all the issued and outstanding securities of ORI and JYORK, we are now involved in the mining industry in the African country of Sierra Leone through mining concessions held by JYORK. We are also involved in buying gold, diamonds and other precious minerals from sellers located throughout West Africa at prevailing local prices and selling them on the open market throughout the world at the highest prices prevailing at the time and location of the sale (the “buy/sell program”). The objectives of the Company are to seek additional mining concession rights, privileges, and to own mines in Sierra Leone, as well as other West African Countries. In addition, we intend to process minerals and to sell such processed minerals around the world, develop and expand the buy/sell program and explore new areas in Sierra Leone and elsewhere in West Africa as opportunities may arise. We are a mining and exporting company engaged in the discovery, acquisition, development, production, and market of gold, diamonds, and other natural resources. Our products primarily consist of: metal concentrates, which we sell to custom smelters; unrefined bullion bars (doré), which may be sold as doré or further refined before sale to precious metals traders; unfinished diamonds; and some gem quality diamonds that we have cut and polished before marketing. The financial statements included in this filing have been prepared in conformity with generally accepted accounting principles that contemplate the continuance of the Company as a going concern, which contemplates the realization of assets and liquidation of liabilities in the normal course of business. However, the Company is in the development stage and, accordingly, has generated minimal revenues from operations. As shown on the accompanying financial statements, the Company has incurred a net loss of $524,461 for the period from inception (August 4, 2010) to December 31, 2011. These conditions raise substantial doubt about the Company’s ability to continue as a going concern. The future of the Company is dependent upon its ability to obtain financing and upon future profitable operations from the development of its business opportunities. Revenues. During the year ended December 31, 2011, we generated $50,000 in revenue and during the year ended December 31, 2010, we did not generate any revenue. The increase in revenue for the year ended December 31, 2011 was attributable to our change of business operations as a result of our acquisition of JYORK and ORI in May 2011. Cost of Goods Sold. Cost of goods sold for the year ended December 31, 2011 was $38,990, an increase of 100%, from the year ended December 31, 2010. The increase in our cost of goods sold for the year ended December 31, 2011 was attributable to our change of business operations as a result of our acquisition of JYORK and ORI in May 2011. Gross Profit. For the years ended December 31, 2011 and 2010, gross profit margins were 22% and 0%, respectively. Depreciation and Amortization. Depreciation and amortization totaled $523 during the year ended December 31, 2011 and $0 during the year ended December 31, 2010. Executive Compensation. Executive compensation totaled $57,253 during the year ended December 31, 2011 and $0 during the year ended December 31, 2010. General and Administrative. General and administrative totaled $3,899 during the year ended December 31, 2011 and $0 during the year ended December 31, 2010. Professional Fees. Professional fees totaled $427,425 during the year ended December 31, 2011 and $2,135 during the year ended December 31, 2010. Professional fees consisted mainly of legal fees, accounting fees, EDGAR filing fees, consulting fees and transfer agent fees. Professional Fees – Related Party. Professional fees – related party totaled $43,777 during the year ended December 31, 2011 and $0 during the year ended December 31, 2010. As of December 31, 2011, we had $10,888 in cash, $59,256 in restricted cash and did not have any other cash equivalents. The following table provides detailed information about our net cash flow for all financial statement periods presented in this Annual Report. To date, we have financed our operations primarily through the issuance of stock and borrowings. Net cash used in operating activities was $289,631 for the year ended December 31, 2011, as compared to $3,635 used in operating activities for the same period in 2010. The increase in net cash used in operating activities consisted primarily of professional fees. Net cash used in investing activities was $5,697 for the year ended December 31, 2011, as compared to $0 used in investing activities for the same period in 2010. The increase in net cash used in investing activities consisted of payments due from related party and purchase of trademark. Net cash provided by financing activities for the year ended December 31, 2011 was $306,216, as compared to $3,635 for the same period of 2010. The increase in net cash provided by financing activities was mainly attributable to proceeds from sale of common stock. As of December 31, 2011, we continue to use traditional and/or debt financing as well as through the issuance of stock to provide the capital we need to run our business. Since inception, we have financed our cash flow requirements through the issuance of common stock and related party notes payable. Without cash flow from operations we will require additional cash resources, including the sale of equity or debt securities, to meet our planned capital expenditures and working capital requirements for the next 12 months. We will require additional cash resources due to changed business conditions, implementation of our strategy to successfully expand and continue current gold and diamond buy/sell transactions, or acquisitions we may decide to pursue. If our own financial resources and then current cash-flows from operations are insufficient to satisfy our capital requirements, we may seek to sell additional equity or debt securities or obtain additional credit facilities. The sale of additional equity securities will result in dilution to our stockholders. The incurrence of indebtedness will result in increased debt service obligations and could require us to agree to operating and financial covenants that could restrict our operations or modify our plans to grow the business. Financing may not be available in amounts or on terms acceptable to us, if at all. Any failure by us to raise additional funds on terms favorable to us, or at all, will limit our ability to expand our business operations and could harm our overall business prospects. We anticipate that we will incur operating losses in the next twelve months. Our lack of operating history makes predictions of future operating results difficult to ascertain. Our prospects must be considered in light of the risks, expenses and difficulties frequently encountered by companies in their early stage of development. Such risks for us include, but are not limited to, raise sufficient capital to retain the services of well seasoned professionals to increase our probability of success. There can be no assurance that we will be successful in addressing such risks, and the failure to do so can have a material adverse effect on our business prospects, financial condition and results of operations. This item in not applicable as we are currently considered a smaller reporting company. See Index to Financial Statements and Financial Statement Schedules appearing on page F-1 through F-18 of this Form 10-K.
We have had no disagreements with our independent auditors on accounting or financial disclosures. Our Chief Executive Officer and Principal Financial Officer, Bradley Rosen, evaluated the effectiveness of our disclosure controls and procedures (as defined in Rule 13a-15(e) under the Exchange Act) as of the end of the period covered by this Report. Based on that evaluation and assessment, Mr. Rosen concluded that our disclosure controls and procedures are designed at a reasonable assurance level and are effective to provide reasonable assurance that information we are required to disclose in the reports that we file or submit under the Exchange Act is recorded, processed, summarized, and reported within the time periods specified in the SEC’s rules and forms, and that such information is accumulated and communicated to our management, including our chief executive officer and principal financial officer, or persons performing similar functions, as appropriate to allow timely decisions regarding required disclosure. Our management is responsible for establishing and maintaining adequate internal control, as is defined in the Securities Exchange Act of 1934. 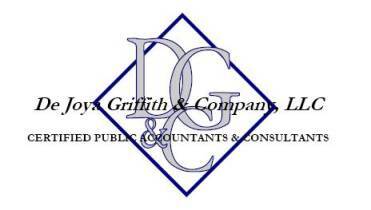 These internal controls are designed to provide reasonable assurance that the reported financial information is presented fairly, that disclosures are adequate and that the judgments inherent in the preparation of financial statements are reasonable. There are inherent limitations in the effectiveness of any system of internal controls, including the possibility of human error and overriding of controls. Consequently, an effective internal control system can only provide reasonable, not absolute, assurance with respect to reporting financial information. Our internal control over financial reporting includes policies and procedures that: (i) pertain to maintaining records that in reasonable detail accurately and fairly reflect our transactions; (ii) provide reasonable assurance that transactions are recorded as necessary for preparation of our financial statements in accordance with generally accepted accounting principles and the receipts and expenditures of company assets are made and in accordance with our management and directors authorization; and (iii) provide reasonable assurance regarding the prevention or timely detection of unauthorized acquisition, use or disposition of assets that could have a material effect on our financial statements. Management has undertaken an assessment of the effectiveness of our internal control over financial reporting based on the framework and criteria established in the Internal Control – Integrated Framework issued by the Committee of Sponsoring Organizations of the Treadway Commission (“COSO”). Based upon this evaluation, management concluded that our internal control over financial reporting was not effective as of December 31, 2011. This annual report does not include an attestation report of our registered public accounting firm regarding internal control over financial reporting. Management’s report was not subject to attestation by our registered public accounting firm pursuant to the temporary rules of the Securities and Exchange Commission that permit the company to provide only management’s report in this annual report. There were no changes in our internal control over financial reporting that occurred during our most recent fiscal quarter that have materially affected, or are reasonably likely to materially affect, our internal control over financial reporting. In designing and evaluating the disclosure controls and procedures, management recognizes that any controls and procedures, no matter how well designed and operated, can provide only reasonable assurance of achieving the desired control objectives. In addition, the design of disclosure controls and procedures must reflect the fact that there are resource constraints and that management is required to apply its judgment in evaluating the benefits of possible controls and procedures relative to their costs. The members of our board of directors serve for one year terms and are elected at the next annual meeting of stockholders, or until their successors have been elected. The officers serve at the pleasure of the board of directors. Mr. Rosen has been a practicing attorney for over 20 years. He received a B.A. from Case Western Reserve University, Cleveland, Ohio, in June of 1985 and his J.D. from Benjamin N. Cardozo School of Law in New York in 1988. Mr. Rosen specializes in intellectual properties, general litigation and general corporate matters. He has published several articles for West Publications concerning litigation of intellectual properties. Mr. Rosen also represented clients in several international financing transactions, international contract negotiations and enforcements. He also has represented clients in such areas as corporate management, mergers and public offerings. Mr. Butchko has been in the marketing industry for over 20 years. He was the National Marketing Director and the Regional Vice President for two major resort marketing companies that grossed over 100 million dollars per year. He was also the President of a public company that was involved with finance, energy, distribution and entertainment. Mr. Butchko specializes in creating acquisitions with select synergistic companies to rapidly expand and integrate their business. Mr. Butchko has been involved with Africa for more than seven years and has been engaged in feeding programs and other humanitarian efforts there. Chris is married with three beautiful children and resides in Southern California. Ms. Thomas studied Business Administration at the New School in New York City, which garnered her a position at one of the largest record and publishing companies in the United States for the past 25 plus years. Ms. Thomas directed and oversaw day to day operations and interacted with major companies such as Capitol EMI, Sony Entertainment, RCA and Universal/Fontana. This included staffing the offices in both New York and Los Angeles in which the employees reported to her directly and maintaining the financial records for these projects. For the past 20 years Ms. Anne has worked with numerous international countries such as Botswana, Liberia, Guinea, Sierra Leone and Equatorial Guinea. There are no family relationships among any of our officers or directors. Our Articles of Incorporation and Bylaws both provide for the indemnification of our officers and directors to the fullest extent permitted by Nevada law. Pursuant to the Nevada General Corporation Law, our Articles of Incorporation exclude personal liability for our Directors for monetary damages based upon any violation of their fiduciary duties as Directors, except as to liability for any breach of the duty of loyalty, acts or omissions not in good faith or which involve intentional misconduct or a knowing violation of law, or any transaction from which a Director receives an improper personal benefit. This exclusion of liability does not limit any right which a Director may have to be indemnified and does not affect any Director’s liability under federal or applicable state securities laws. We have agreed to indemnify our directors against expenses, judgments, and amounts paid in settlement in connection with any claim against a Director if he acted in good faith and in a manner he believed to be in our best interests. Directors are elected to serve until the next annual meeting of stockholders and until their successors have been elected and qualified. Officers are appointed to serve until the meeting of the Board of Directors following the next annual meeting of stockholders and until their successors have been elected and qualified. Section 16(a) of the Securities Exchange Act of 1934, as amended (the “Exchange Act”), requires our executive officers and directors, and persons who beneficially own more than ten percent of our common stock, to file initial reports of ownership and reports of changes in ownership with the SEC. Executive officers, directors and greater-than-ten-percent beneficial owners are required by SEC regulations to furnish us with copies of all Section 16(a) forms they file. Based upon a review of the copies of such forms furnished to us and written representations from our executive officers and Directors, we believe that as of the date of this filing they were current in their filings. We have not adopted a corporate code of ethics that applies to our principal executive officer, principal financial officer, principal accounting officer or controller, or persons performing similar functions. We currently do not have standing audit, nominating and compensation committees of the board of directors, or committees performing similar functions. Until formal committees are established, our entire board of directors, perform the same functions as an audit, nominating and compensation committee. been the subject of, or a party to, any sanction or order, not subsequently reversed, suspended or vacated, of any self-regulatory organization (as defined in Section 3(a)(26) of the Exchange Act (15 U.S.C. 78c(a)(26))), any registered entity (as defined in Section 1(a)(29) of the Commodity Exchange Act (7 U.S.C. 1(a)(29))), or any equivalent exchange, association, entity or organization that has disciplinary authority over its members or persons associated with a member. We currently have not appointed members to serve on the Compensation Committee of the Board of Directors. Until a formal committee is established, our entire Board of Directors has responsibility for establishing, implementing and continually monitoring adherence with the Company’s compensation philosophy. The Board of Directors ensures that the total compensation paid to the executives is fair, reasonable and competitive. The Board of Directors believes that the most effective executive compensation program is one that is designed to reward the achievement of specific annual, long-term and strategic goals by the Company and that aligns executives’ interests with those of the stockholders by rewarding performance above established goals, with the ultimate objective of improving stockholder value. As a result of the size of the Company , the Board evaluates both performance and compensation on an informal basis. Upon hiring additional executives, the Board intends to establish a Compensation Committee to evaluate both performance and compensation to ensure that the Company maintains its ability to attract and retain superior employees in key positions and that compensation provided to key employees remains competitive relative to the compensation paid to similarly-situated executives of peer companies. To that end, the Board believes executive compensation packages provided by the Company to its executives, including the named executive officers, should include both cash and stock-based compensation that reward performance as measured against established goals. The Board of Directors makes all compensation decisions for, and approves recommendations regarding equity awards to, the executive officers and Directors of the Company. Decisions regarding the non-equity compensation of other employees of the Company are made by management. The table below summarizes the total compensation paid to or earned by our Executive Officers, for the last two fiscal years ended December 31, 2011 and 2010. Mr. Rosen was appointed Chief Executive Officer, President, and a Director of the Company on May 16, 2011. Mr. Butchko was appointed Executive Vice President, Chief Operating Officer and Director of the Company on May 16, 2011. Ms. Thomas was appointed Secretary, Comptroller and a Director on May 16, 2011 and Treasurer on August 12, 2011. There are no employment agreements with any of the Company’s current executive officers. During the years ended December 31, 2011 and 2010, we did not grant any options to our officers and directors. As a result of having limited resources we do not currently have an established compensation package for board members. The following table sets forth information, to the best of our knowledge, about the beneficial ownership of our common stock on April 11, 2012 relating to the beneficial ownership of our common stock by those persons known to beneficially own more than 5% of our capital stock and by our directors and executive officers. The percentage of beneficial ownership before the offering for the following table is based on 23,725,360 shares of common stock outstanding. Beneficial ownership is determined in accordance with the rules of the Securities and Exchange Commission and does not necessarily indicate beneficial ownership for any other purpose. Under these rules, beneficial ownership includes those shares of common stock over which the stockholder has sole or shared voting or investment power. It also includes shares of common stock that the stockholder has a right to acquire within 60 days after pursuant to options, warrants, conversion privileges or other rights. The percentage of ownership of the outstanding common stock, however, is based on the assumption, expressly required by the rules of the Securities and Exchange Commission, that only the person or entity whose ownership is being reported has converted options or warrants into shares of our common stock. As used in this table, “beneficial ownership” means the sole or shared power to vote, or to direct the voting of, a security, or the sole or shared investment power with respect to a security (i.e., the power to dispose of, or to direct the disposition of, a security). Each Parties’ address is care of the Company at 189 Brookview Drive, Rochester, NY 14617. Rounded to the nearest whole percentage. Of the 1,500,000 shares of common stock, 200,000 are held by Ms. Thomas’ husband. As used in this table, “beneficial ownership” means the sole or shared power to vote, or to direct the voting of, a security, or the sole or shared investment power with respect to a security (i.e., the power to dispose of, or to direct the disposition of, a security). Charles Huggins, President of Otoro Holdings, LLC, controls the disposition of the shares held by Otoro Holdings, LLC. Mr. Huggins recently became a consultant of the Company on August 8, 2011. During the year ended December 31, 2011, the Company paid $2,500 to an officer and director of the Company for legal fees. During the year ended December 31, 2011, the Company paid $43,777 to a shareholder of the Company for consulting fees and $8,300 in cost of goods sold. Until August 2011, Company funds were being held on behalf of the Company in an attorney trust IOLA account. In August of 2011, almost all of the funds were transferred from the attorney trust IOLA account to a bank account in the name of the Company. As of September 30, 2011, the Company had $100 in the attorney trust IOLA account. Since the attorney is also an officer and director of the Company, the Company recorded the balance as due from related party. The remaining $100 was transferred from the attorney IOLA trust account to the Company’s bank account on November 21, 2011. We did not have any promoters at any time since our inception in March 2008. We currently do not have any independent directors, as the term “independent” is defined in Section 803A of the NYSE Amex LLC Company Guide. Since the OTCQB does not have rules regarding director independence, the Board makes its determination as to director independence based on the definition of “independence” as defined under the rules of the New York Stock Exchange (“NYSE”) and American Stock Exchange (“Amex”). We do not have an audit committee. (6) If greater than 50 percent, disclose the percentage of hours expended on the principal accountant's engagement to audit the registrant's financial statements for the most recent fiscal year that were attributed to work performed by persons other than the principal accountant's full-time, permanent employees. The financial statements listed in the "Index to Financial Statements" at page 53 are filed as part of this report. Financial statement schedules are omitted because they are not applicable or the required information is shown in the financial statements or notes thereto. Exhibits included or incorporated herein: See index to Exhibits. Articles of Incorporation of Oraco Resources, Inc. Bylaws of Oraco Resources, Inc.
Pursuant to the requirements of Section 13 or 15(d) of the Securities Exchange Act of 1934, the registrant has duly caused the report to be signed on its behalf by the undersigned, thereunto duly authorized. We have audited the accompanying balance sheets of Oraco Resources, Inc. (An Exploration Stage Company) (the “Company”) as of December 31, 2011 and 2010 the related statements of operations, stockholders’ deficit and cash flows for the years ended December 31, 2011 and 2010 and for the period from inception (February 4, 2010) through December 31, 2011. Oraco Resources, Inc.’s management is responsible for these financial statements. Our responsibility is to express an opinion on these financial statements based on our audit. In our opinion, the financial statements referred to above present fairly, in all material respects, the financial position of Oraco Resources, Inc. (An Exploration Stage Company) as of December 31, 2011 and 2010 and the results of their operations and their cash flows for the years ended December 31, 2011 and 2010 and for the period from inception (February 4, 2010) through December 31, 2011 in conformity with accounting principles generally accepted in the United States of America. The accompanying financial statements have been prepared assuming the Company will continue as a going concern. As discussed in Note 2 to the financial statements, the Company has suffered losses from operations, which raise substantial doubt about its ability to continue as a going concern. Management’s plans in regard to these matters are also described in Note 2. The financial statements do not include any adjustments that might result from the outcome of this uncertainty. Oraco Resources, Inc. ("Oraco Nevada") was incorporated on April 6, 2010 in the State of Nevada originally under the name Sterilite Solutions Corp. On February 23, 2011, the Company changed its name from Sterilite Solutions Corp. to Oraco Resources, Inc.
On May 16, 2011, Oraco Nevada completed the acquisition of all the issued and outstanding shares of Oraco Resources, a Canadian corporation, ("Oraco Canada)" and JYORK Industries, Inc. Ltd ("JYORK") (collectively, the "Acquired Businesses") pursuant to a Share Purchase Agreement (the "SPA"). Under the SPA, Oraco Nevada issued 15,001,500 shares of the its common stock to various individuals and entities in exchange for a 100% interest in Oraco Canada and 3,000,000 shares of Oraco Nevada's common stock to an individual for a 100% interest in JYORK. Additionally under the SPA, the former officers and directors of Oraco Nevada agreed to cancel 10,000,000 shares of its common stock. For accounting purposes, the acquisition of the Acquired Businesses by Oraco Nevada has been accounted for as a recapitalization, similar to a reverse acquisition except no goodwill is recorded, whereby the private companies, Oraco Canada and JYORK, in substance acquired a non-operational public company (Oraco Nevada) with nominal assets and liabilities for the purpose of becoming a public company. Accordingly, Oraco Canada and JYORK are considered the acquirer for accounting purposes and thus, the historical financials are primarily that of Oraco Canada. As a result of this transaction, Oraco Nevada changed its business direction and is now a mineral and natural resource exploration business. Oraco Canada was incorporated on August 4, 2010 (Date of Inception) and accordingly, the accompanying financial statements are from the Date of Inception of Oraco Canada through ending reporting periods reflected. The Company has not commenced any significant operations and, in accordance with ASC Topic 915-10, the Company is considered an exploration stage company. For the year ended December 31, 2010, the consolidated financial statements include the accounts of Oraco Canada. For the year ended December 31, 2011, the consolidated financial statements include the accounts of Oraco Nevada, Oraco Canada and JYORK. All significant intercompany balances and transactions have been eliminated. Oraco Nevada, Oraco Canada and JYORK will be collectively referred herein to as the “Company”. The Company is in the mineral and natural resource exploration and trading business, and has not yet commenced operations to locate commercially exploitable mineral and natural resources. The Company has been in the exploration stage since its formation and has not realized any revenues from its planned operations. The Company’s yearend is December 31. The preparation of financial statements in conformity with generally accepted accounting principles requires management to make estimates and assumptions that affect the reported amounts of assets and liabilities and disclosure of contingent assets and liabilities at the date of the financial statements and the reported amounts of revenue and expenses during the reporting period. Actual results could differ significantly from those estimates. Fair value estimates discussed herein are based upon certain market assumptions and pertinent information available to management as of December 31, 2011 and 2010. The respective carrying value of certain on-balance-sheet financial instruments approximated their fair values. These financial instruments include cash and accounts payable. Fair values were assumed to approximate carrying values for cash and payables because they are short term in nature and their carrying amounts approximate fair values or they are payable on demand. Level 1: The preferred inputs to valuation efforts are “quoted prices in active markets for identical assets or liabilities,” with the caveat that the reporting entity must have access to that market. Information at this level is based on direct observations of transactions involving the same assets and liabilities, not assumptions, and thus offers superior reliability. However, relatively few items, especially physical assets, actually trade in active markets. Level 2: FASB acknowledged that active markets for identical assets and liabilities are relatively uncommon and, even when they do exist, they may be too thin to provide reliable information. To deal with this shortage of direct data, the board provided a second level of inputs that can be applied in three situations. Level 3: If inputs from levels 1 and 2 are not available, FASB acknowledges that fair value measures of many assets and liabilities are less precise. The board describes Level 3 inputs as “unobservable,” and limits their use by saying they “shall be used to measure fair value to the extent that observable inputs are not available.” This category allows “for situations in which there is little, if any, market activity for the asset or liability at the measurement date”. Earlier in the standard, FASB explains that “observable inputs” are gathered from sources other than the reporting company and that they are expected to reflect assumptions made by market participants. The Company follows ASC Topic 740 for recording the provision for income taxes. Deferred tax assets and liabilities are computed based upon the difference between the financial statement and income tax basis of assets and liabilities using the enacted marginal tax rate applicable when the related asset or liability is expected to be realized or settled. Deferred income tax expenses or benefits are based on the changes in the asset or liability each period. If available evidence suggests that it is more likely than not that some portion or all of the deferred tax assets will not be realized, a valuation allowance is required to reduce the deferred tax assets to the amount that is more likely than not to be realized. Future changes in such valuation allowance are included in the provision for deferred income taxes in the period of change. The Company applies a more-likely-than-not recognition threshold for all tax uncertainties. ASC Topic 740 only allows the recognition of those tax benefits that have a greater than fifty percent likelihood of being sustained upon examination by the taxing authorities. As of December 31, 2011 and 2010, the Company reviewed its tax positions and determined there were no outstanding, or retroactive tax positions with less than a 50% likelihood of being sustained upon examination by the taxing authorities, therefore this standard has not had a material effect on the Company. The Company does not anticipate any significant changes to its total unrecognized tax benefits within the next 12 months. The Company classifies tax-related penalties and net interest as income tax expense. As of December 31, 2011 and 2010, no income tax expense has been incurred. For the purpose of the statements of cash flows, all highly liquid investments with an original maturity of three months or less are considered to be cash equivalents. The carrying value of these investments approximates fair value. Restricted cash consists of customer deposits to facilitate purchases of products on their behalf. At December 31, 2010, we had approximately $59,256 in short-term restricted cash. ASC 350 requires that goodwill and intangible assets with indefinite useful lives no longer be amortized, but instead tested for impairment at least annually in accordance with the provisions of ASC 350. This standard also requires that intangible assets with definite useful lives be amortized over their respective estimated useful lives to their estimated residual values, and reviewed for impairment. As of December 31, 2011, the Company believes there is no impairment of its intangible assets. The Company's intangible assets consist of the costs of filing and acquiring various trademarks. The trademarks are recorded at cost. The Company determined that the trademarks have an estimated useful life of 10 years and will be reviewed annually for impairment. Amortization will be recorded over the estimated useful life of the assets using the straight-line method for financial statement purposes. The Company commenced amortization during the three month period ended March 31, 2011. The Company expenses all costs related to the acquisition, maintenance and exploration of its unproven mineral properties to which it has secured exploration rights. If and when proven and probable reserves are determined for a property and a feasibility study prepared with respect to the property, then subsequent development costs of the property will be capitalized. To date the Company has not established the commercial feasibility of its exploration prospects, therefore all costs have been expensed. The Company also considers the provisions of ASC 360 which concludes that mineral rights are tangible assets. Accordingly, the Company capitalizes certain costs related to the acquisition of mineral rights where proven or probable reserves are present or when the Company intends to carry out an exploration program and has the funds to do so. The Company records stock based compensation in accordance with the guidance in ASC Topic 505 and 718 which requires the Company to recognize expenses related to the fair value of its employee stock option awards. This eliminates accounting for share-based compensation transactions using the intrinsic value and requires instead that such transactions be accounted for using a fair-value-based method. The Company recognizes the cost of all share-based awards on a graded vesting basis over the vesting period of the award. The Company accounts for equity instruments issued in exchange for the receipt of goods or services from other than employees in accordance with FASB ASC 718-10 and the conclusions reached by the FASB ASC 505-50. Costs are measured at the estimated fair market value of the consideration received or the estimated fair value of the equity instruments issued, whichever is more reliably measurable. The value of equity instruments issued for consideration other than employee services is determined on the earliest of a performance commitment or completion of performance by the provider of goods or services as defined by FASB ASC 505-50. We recognize revenue when all of the following conditions are satisfied: (1) there is persuasive evidence of an arrangement; (2) the product or service has been provided to the customer; (3) the amount of fees to be paid by the customer is fixed or determinable; and (4) the collection of our fees is probable. The Company recorded revenue when it was realizable and earned upon shipment of the gold and diamond to the customers. The Company also recorded commission income when it was realizable and earned based on the specific terms of the agreement with the customer. During the year ended December 31, 2011, the Company generated its revenue from two customers. Advertising costs are anticipated to be expensed as incurred; however there were no advertising costs included in general and administrative expenses for the year ended December 31, 2011 and for the period from Inception (August 4, 2010) to December 31, 2010. The Company follows ASC Topic 260 to account for the earnings per share. Basic earnings per common share (“EPS”) calculations are determined by dividing net income by the weighted average number of shares of common stock outstanding during the year. Diluted earnings per common share calculations are determined by dividing net income by the weighted average number of common shares and dilutive common share equivalents outstanding. During periods when common stock equivalents, if any, are anti-dilutive they are not considered in the computation. The Company has evaluated all the recent accounting pronouncements through April 2012 and believes that none of them will have a material effect on the Company’s consolidated financial statements. The accompanying financial statements have been prepared assuming that the Company will continue as a going concern, which contemplates the recoverability and/or acquisition and sale of assets and the satisfaction of liabilities in the normal course of business. As noted above, the Company is in the development stage and, accordingly, has generated minimal revenues from operations. Since its inception, the Company has been engaged substantially in financing activities and developing its business plan and incurring start up costs and expenses. As a result, the Company incurred accumulated net losses from Inception (August 4, 2010) through the period ended December 31, 2011 of ($524,462). In addition, the Company’s development activities since inception have been financially sustained through debt and equity financing. The ability of the Company to continue as a going concern is dependent upon its ability to raise additional capital from the sale of common stock and, ultimately, the achievement of significant operating revenues. These financial statements do not include any adjustments relating to the recoverability and classification of recorded asset amounts, or amounts and classification of liabilities that might result from this uncertainty.